What would you do to make someone's dream come true? Ali would do anything for his great-grandmother. One day Ali realizes that his great-grandmother is getting older and she will not be around forever, so he asks her if all of her dreams have been met in her life. She replies all except one; she has never been to the sea. This picture book reminded me of my grandmother, living in Illinois all of her life; she never was able to see the ocean nor the mountains. When she died, I was saddened that she never had the opportunity to experience these things that filled my life growing up in Washington. The illustrations are simple. The ground changes from a piece of notebook paper to a geography map and then to a star map; based on the occurances of the story. This visual is a small but significant addition to the story. From the Publisher: Ali lives with his great-grandmother in a tiny clay house at the edge of the desert. 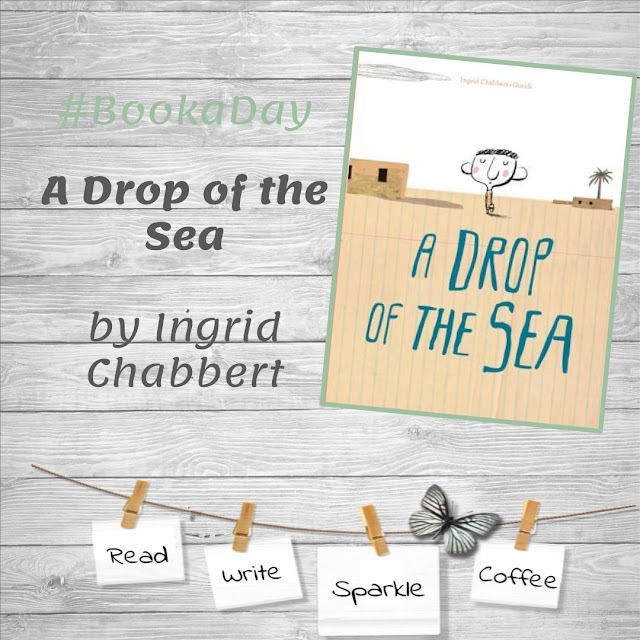 The much-loved duo Ingrid Chabbert and Guridi have created a gorgeous intergenerational tale about devotion and dreams coming true at any age. The love Ali feels for his great-grandmother is universal, and children everywhere will recognize their own best selves in Ali's heroic act of kindness. With the makings of a classic, this is one of those quiet stories that will stay with readers, young and old, long after they've put it down. Set in North Africa, it would make an excellent choice for a social studies lesson on exploring global cultures. It also works perfectly for character education lessons on compassion or courage.